Welcome to The A.C. Root Agency, Inc. The A.C. Root Agency, Inc. has been providing affordable insurance protection to clients in Clinton, IA and the surrounding area since 1854. With such a long history of excellence, you can be sure that we are the right agency for the job. We understand the importance of having reliable coverage, and that is why our agents are here to guide you through the steps necessary to get the right coverage for you. You will work one-on-one with a caring, honest, and knowledgeable member of our team who will find you the appropriate protection. With producers licensed in both commercial and personal insurance, we have 67 years in experience giving us the expertise and knowledge necessary to handle your insurance needs. In addition we have three dedicated part time office support staff that will help ensure you receive prompt and accurate service. We also have an on-site notary for your convenience. 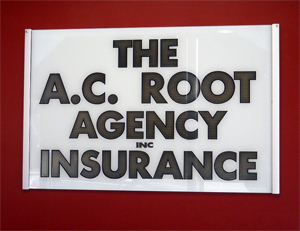 Call The A.C. Root Agency, Inc. today for personalized service in getting the right coverage for you!